Work for technology companies that support hacker communities and have great opportunities for interns and new grads. CARFAX is the leading source of vehicle history information for buyers and sellers of used cars. 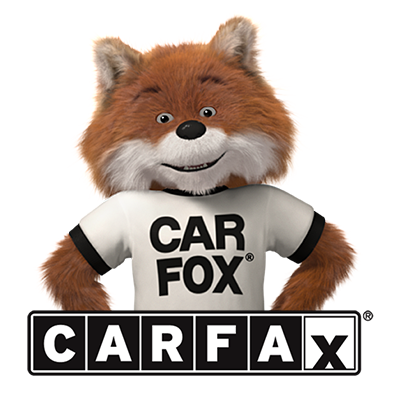 When you come to work for CARFAX you’ll be working for a company that wants you to have a life outside of the job. If you’re a do-er, mover or shaker who loves indoor parks, free lunch, and generous time off - check out CARFAX today! Working at Qualcomm may be the closest you’ll get to experiencing time travel. For the last two decades, they’ve been creating mobile technologies to help connect people around the world and bring the future here faster. You won’t just work in a lab, or write lines of code. You’ll be an integral part of what’s next for mobility and the world. Plus, you can now try their brand new DragonBoard 410c in the MLH Hardware Lab! The U.S. Air Force is the world’s preeminent force in air, space and cyberspace. We maintain that distinction by maintaining our objective of global vigilance, reach and power and remaining true to our vision statement: The World’s Greatest Air Force—Powered by Airmen, Fueled by Innovation. BNY Mellon has been innovating in the financial industry for over 230 years. They’re seeking passionate, talented students who want to make their mark in the financial industry. Take the first step and apply. Be yourself. Be innovative. Be bold. Be BNY Mellon. BlackRock was founded in 1988 by eight entrepreneurs who wanted to start a very different company: One that combined the best of a financial leader and a technology pioneer. We’re teaming up with them to run fun coding challenges at MLH hackathons all across Europe. If you want to work for a financial leader who supports hackers, apply to BlackRock today. NSA hires top talent in science, technology, engineering, mathematics, language and more. Express Scripts is a Fortune 25 healthcare opportunity company with 27,000 employees united by one goal: to help make healthcare simpler, more accessible and more affordable for 100 million Americans. We exist to solve problems others don’t, won’t or can’t. Where others see problems, we see potential. We’re determined to drive change and evolution in the healthcare system through data insights, ground-breaking innovations and industry-leading technology. We are challenge-takers and difference makers, dreamers and doers who believe healthcare can deliver more. Anywhere the system is too complex, too slow, too costly, or too wasteful – we’re there, alongside those we serve, driving towards better … together. Our expansive Technology teams drive core solutions across virtually every aspect of the business. We’re looking for curious minds, status-quo challengers and critical thinkers. You won’t be bored. Come chat with us and learn how you can join a team focused on reinventing healthcare through technology. and the opportunities you have open.